It seems like it has been forever and yet yesterday when we found the land and started to plan for our equine assisted psychotherapy centre. We are now planning for the move and hope to be opening our doors on Wednesday, October 22, 2014. Stay tuned for an update on the confirmation. 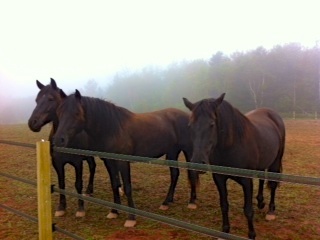 The horses have now been home for 3 weeks and, since acquiring three miniature horses, our herd is now up to 6. Everyone has settled nicely into their new pasture and seem to enjoy the view at the ranch. Keep checking our website for new photos and stories. This entry was posted in Our horses, Ranch Construction. Bookmark the permalink.